Shirley was born in Dodge Center, Minnesota, on January 25, 1923. She was the the only child of Walter Mason and Martha Alice Mattie Hageman. As a youth and later as a young adult, she often lost time and awoke in strange places; not knowing how she got there. She consulted with Dr. Cornelia Wilbur who was living near her hometown. When Dr. Wilbur relocated to New York, Shirley was unable to continue treatment until she herself moved to New York in the 1950's to attend Columbia University. It was there that Dr. Wilbur diagnosed her Dissociative Identity Disorder; at that time called multiple personality disorder. It was determined that Shirley had sixteen personalities as a result of childhood abuse. By 1965 those personalities were merged into the Shirley I came to know in 1970. Her story was told in the best seller, Sybil, by Flora R. Schreiber and then again in 1976 with the release of the movie Sybil starring Sally Field. Jessica Lange and Tammy Blanchard starred in the movie's remake that was released in 2006. 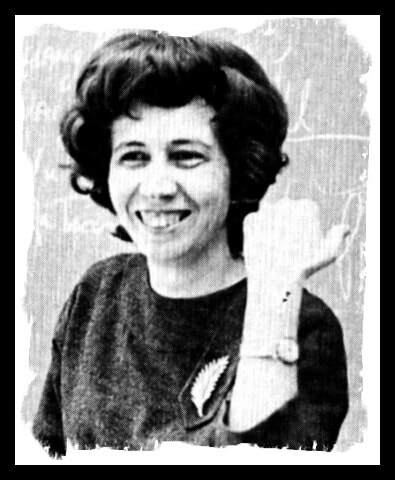 Shirley was hired to teach art at Rio Grande College in rural southern Ohio. It was there that I met her on my first day as a returning student when I enrolled in her art class. I loved the projects she assigned and began to broaden their scope by combining my art with words that complemented each project. She liked that idea and we forged a bond that grew stronger over the years. Shirley spent a few years at Rio Grande, then moved to Lexington, Kentucky, to be near Dr. Wilbur who was teaching at the University of Kentucky. My friend's life was filled with suffering. Her cancer recurrence was the final blow to a gentle lady who did not deserve the indignities she endured. She chose to forgo treatment and spend her remaining time in her own home. She said she had no wish to prolong what she felt was a losing battle; that God would take care of her as always. During our last talk, I sensed that she had found the inner peace which had so long eluded her. I admired her courage then; and continue to miss her presence in my life today.